Desi Smith/Staff Photo. The 127’ Mystic makes it’s way around Eastern Points breakwater during the Annual Mayors Cup Sunday Afternoon. It was constructed in 2007 by Freeport Shipbuilding Group in Freeport, Florida. 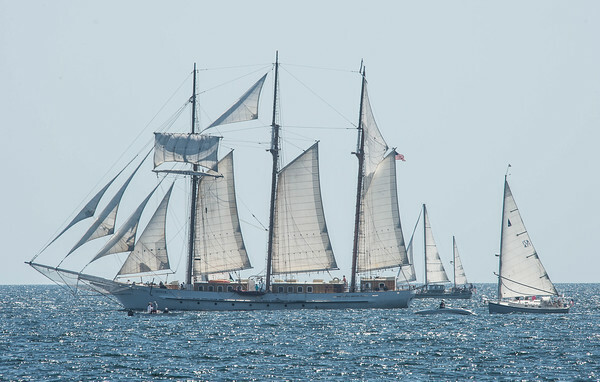 The 3-masted topsail schooner is a custom designed ocean going sailing schooner.